Something special from camp Critical as two of electronic music’s leading lights lock horns for a Vs battle of epic proportions. 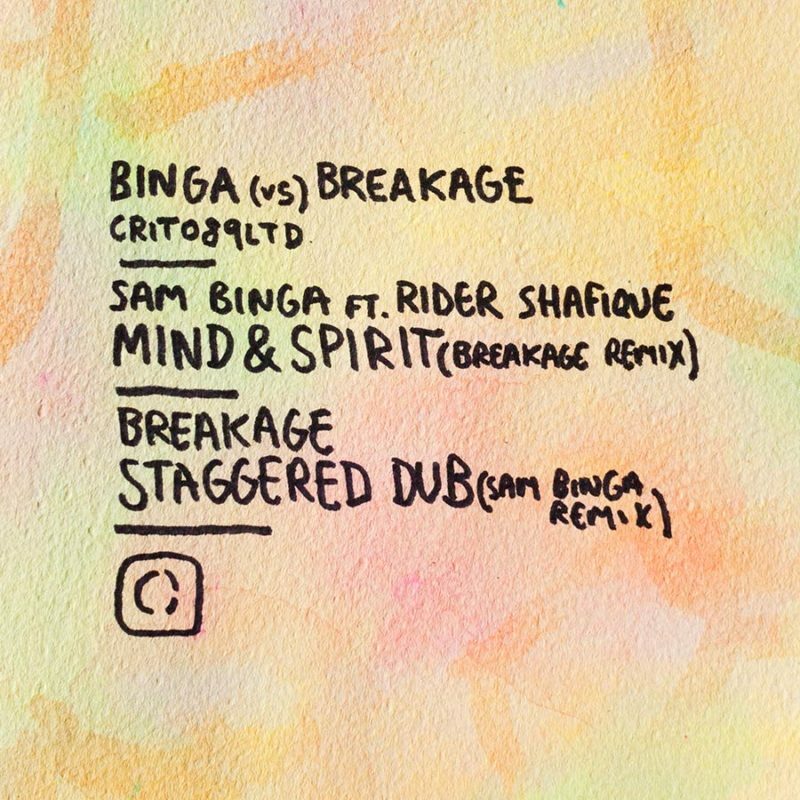 Taking the jungle fleck of ‘Mind & Spirit’ from Sam Binga’s ‘Wasted Days’ LP of last year and one of Breakage’s most memorable cuts from way back when (2005), the results are as you’d expect from these two. Utterly essential listening.